Seems like more and more architects and business owners are waking up to the benefits of increasing our green covers. Vertically, that is. 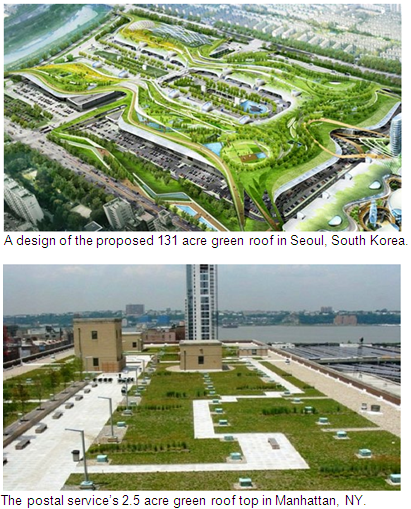 Only six months after the postal service announced the "biggest green roof in NYC," South Korea announced plans to build a 131 acre green roof on top of a wholesale market that is up for redesign. Consider the sizes we are talking here: 2.5 acre vs. 131 acre. Maybe the pictures posted below, courtesy Inhabitat, will give the comparison better justice. Take a look!